I've mentioned before how budgeting has changed my life. I've used it to quit my job, change careers, and survive a layoff. Over the past three years, I've refined my personal budgeting spreadsheet many times, and it's become a trusted tool. Here's how I have used it to take control of my finances. The first step is the easiest. Make a list of each source of income, your gross earnings, and your net earnings. For freelance gigs, I automatically deduct 25-30% of my income and set it aside for taxes. Even though you don't keep every penny you earn, it's still motivating to keep a tally of the gross income throughout the year. With multiple jobs, it's helpful to see exactly how much you are earning. When it comes to saving, I'm a firm believer in two strategies: 1) paying yourself first, and 2) saving for larger expenses throughout the year. Start by making a list of annual expenses. Then, break these expenses down into monthly savings goals. Maxing out a Roth IRA or health savings account may feel a lot less intimidating when it's broken down into smaller chunks. By treating your monthly savings goals as bills you pay first, you will be less tempted to overspend with discretionary income. How much are you spending on debt? 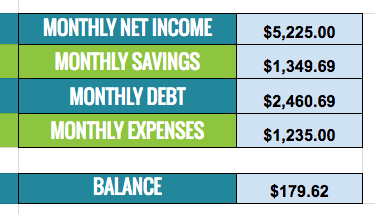 I separate debt from other monthly expenses because I like to see the progress I am making in each category. I pay my credit card bill in full every month, but I still track it here. What are your monthly fixed expenses? Chances are, you have several bills that stay the same every month. I separate these from variable expenses to save time. What are your monthly variable expenses? You will spend the most time on variable expenses. I use the zero-sum budget method, so variable expenses are where I make the most adjustments. For example, if I earn $200 less in a month, I may cut back on food & drinks, gifts, and miscellaneous expenses. For you, those categories may be personal care, shopping, or entertainment. There is wiggle room in many of your variable expense categories. My budgeting spreadsheet automatically adds up the total for each category. This is summarized at the end so you can easily see if you have balanced your budget for the month. Use color for tracking. Keep cells shaded when preliminary estimates are added. Change the color once an item has been finalized. For example, receiving a check from a freelance client or paying a monthly bill. Unhide cells for extra categories. The second to last and last rows in each section include hidden cells. Unhide these rows for extra line items to keep the formulas in tact. Experiment with a 30-day cash diet. Are you consistently struggling in one particular category? Try a 30-day cash diet. It has been proven you are less likely to spend with cash than a debit or credit card. Pick up a side hustle. If you are still falling short on savings goals and a raise at your full-time job is unlikely, you may want to consider a side hustle. Side hustles can be especially helpful if you're trying to pay down debt or quickly build up an emergency fund. Build an emergency fund. 3-6 months of expenses is a good rule of thumb for an emergency fund. 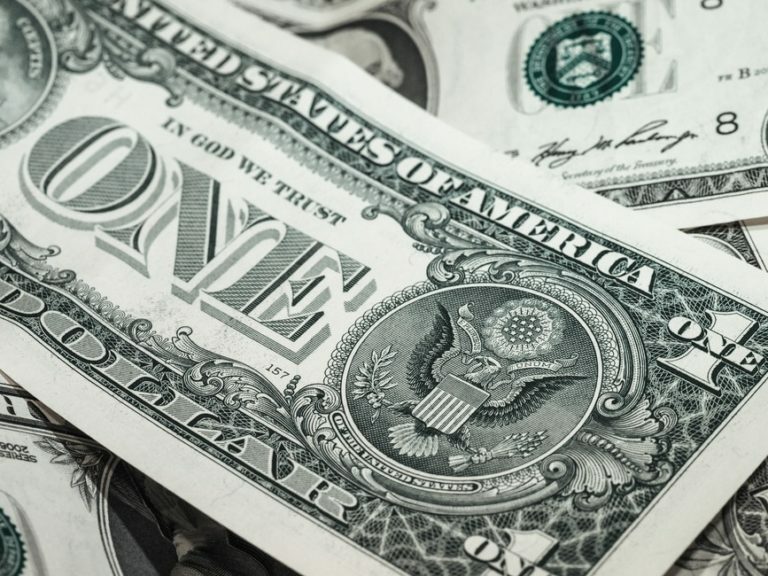 Try to secure a rate of return that keeps pace with inflation, while still maintaining liquidity, like a high-interest savings or money market deposit account. Are you ready to take control? Download my free budgeting spreadsheet! Thanks for sharing your budgeting sheet here publicly. Budgeting is a simple way to save money, but people find it very difficult to do often. I think one should make a routine and save money for their future. Thanks again.. Thanks for reading, Santanu! I hope you find the spreadsheet helpful. I enjoy comparing my real numbers to others to try to figure out if I’m out of wack or not. Obviously everyone’s situation is a little different, but it’s motivating to see someone saving as much as you do each month towards your goals! I am very interested in sharing some personal information on my own blog. Have you had any issues with this? Do your readers seem to enjoy it more? Thanks, Josh! I’ve always been pretty open regarding my personal financial situation on the blog. However, that’s definitely a personal choice and I don’t blame writers who prefer to keep the information private. I really like the way you track your income gross and net for both full-time and freelance jobs. I am going to customize this for my own budget spreadsheet. Thanks for sharing! Sure thing, Dee! I hope this tactic helps! We use a zero-sum budget each month and it works for us. I think any type of budget is a step up if it causes you to be aware of your spending and get a broader look at your financial picture.